Today more than ever, flooring options abound. Despite the multiplicity of choices facing the consumer—ceramic tile, plank wood, engineered wood and laminate materials—vinyl flooring remains a statistical standout year after year, accounting for almost 18 percent of the flooring industry’s overall sales volume. Only carpeting covers more square feet of flooring in the United States than vinyl. Certainly there are very good reasons for this impressive consumer acceptance. Likewise, there are some scenarios in which one or the other flooring alternatives may be a better choice. 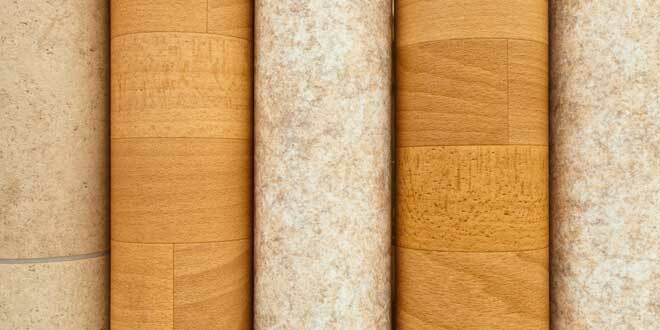 What makes vinyl flooring “vinyl”? Its primary ingredient is PVC (polyvinyl chloride), probably the most ubiquitous vinyl raw material utilized in all sectors of the consumer market. The overall category of vinyl flooring—known in the industry as resilient flooring—encompasses a number of different products, including the individual vinyl tile squares everyone’s familiar with, sheet vinyl that is rolled out and installed in one piece and luxury vinyl tile (LVT) that is thicker and incorporates photo-quality realism to faithfully reproduce the classic effect of natural stone or wood. To make the most fully informed buying decision, let’s explore some of the upsides and downsides of vinyl flooring. Comfort and user-friendliness. Whether you’re wearing boots or barefoot, vinyl flooring feels more comfortable to walk on than other options. Vinyl offers you a slightly softer walking surface—a “give” to every step you take—produced by the fact that the product is produced with a thin backing of resilient foam or felt. It makes the floor beneath your feet slightly more shock-absorbent and less fatiguing to walk across or stand upon for long periods of time. On a cold morning, vinyl flooring also feels warmer to bare feet than ceramic or stone alternatives. Comprehensive choices. Vinyl is not a boutique product with only a limited number of manufacturers and product choices. Given its extra large footprint in the marketplace, plus the prodigious number of manufacturers producing vinyl flooring, you can rest assured that you’ll have a vast variety of vinyl colors and styles to choose to harmonize with virtually any design theme. Long-wearing durability. Vinyl flooring can take most anything normal household life can deliver. It’s not a delicate material that requires pampering and continuous caution to minimize wear or prevent expensive damage. Manufacturers know better than anyone the expected service life of their products and generally adjust terms of their guarantee to accommodate that figure. Many manufacturers of vinyl flooring now offer a 15-year warranty against premature wear and damage. That can be considered a baseline figure, however, as properly-installed vinyl flooring given normal maintenance can routinely last 20 years or more. 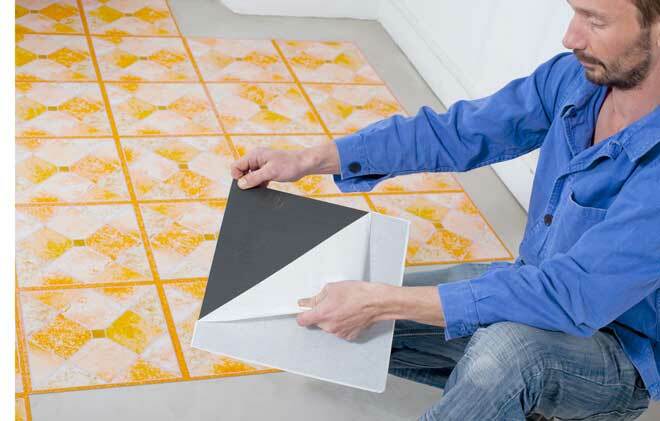 For maximum durability that exceeds even that figure, choose sheet vinyl over tiles. Seams in any type of floor covering material contribute to deterioration as moisture and grit inevitably infiltrates the seam. Because it can typically be installed as one piece—or only a very few contiguous pieces—sheet vinyl incorporates few seams and thus offers optimum durability. Straightforward installation. Vinyl flooring generally doesn’t present burdensome installation prerequisites. In many cases, if the sub-floor in the room is intact and level, vinyl tiles or sheets can be installed over it without modifications or improvements. If there’s existing vinyl flooring already in place and it’s still in good shape, installing vinyl directly atop the existing flooring is also a common practice. Peel-and-stick vinyl tiles with adhesive already applied to the backing make a very doable do-it-yourself project for the homeowner who’s handy and wants to save on installation costs. 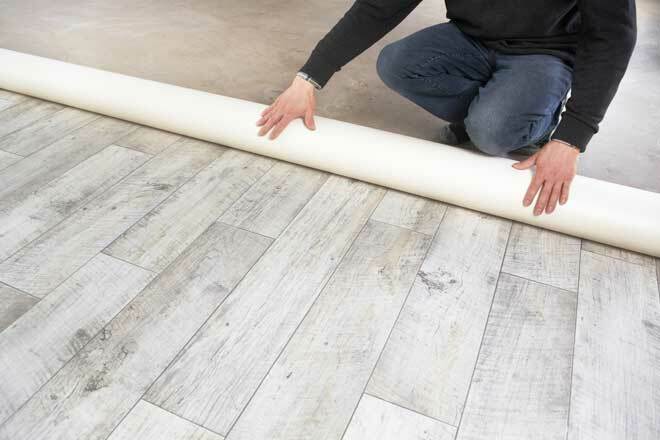 Sheet vinyl that has to be rolled out and installed in a single piece, however—as well as more expensive products like LVT—are best left to the professional flooring contractor/installer. Minimal maintenance. Sweep regularly, damp mop when it needs it and use a commercial product to revive its “glow” if/when desired. Vinyl flooring can be considered the lowest-maintenance flooring material commonly installed in residences. While caveats common to any flooring material—avoid dropping heavy, sharp objects and clean up corrosive or staining spills promptly—also apply to vinyl, excessive care and extra caution are not required. Adjustable affordability. You can go budget or big-spender with vinyl. It all depends on your own resources and how much you want to spend. From DIY peel-and-stick checkerboard tiles bought at the local home center to lush, photo-realistic LVT custom-installed by professionals, costs of vinyl run the gamut from frugal to upscale and everything in-between. Set your own cost limits and start shopping. Surface vulnerability. The spongy soft feel of vinyl can also make the material more susceptible to cuts and gouges from sharp objects like heavy knives, meat cleavers and so forth. Obviously, this is mostly a concern in a kitchen environment and mainly where single-sheet vinyl is installed—damaged individual tiles can usually be removed and replaced individually. Where heavy furniture is placed on vinyl, it’s also good preventive medicine to place furniture pads under the feet. Sub-floor issues. It’s a good news/bad news situation: The good news is that vinyl can be installed over an intact, clean sub-floor without modifications or demolition. The bad news is, if the subfloor is less than optimal then repairs or improvements will be required to accommodate the adhesive needed to install vinyl. Also, the floor must be scrupulously free of any loose particles. Vinyl is thinner and more flexible than other types flooring. Even small particles beneath vinyl will result in noticeable bumps on the surface. Indoor environmental concerns. Vinyl is a byproduct of petrochemicals and may emit vapors called volatile organic compounds (VOCs) into the indoor air, particularly when new. It should also be noted that VOCs are and always have been released by many building materials, including other flooring such as laminated wood and carpeting. Since 2010, the vinyl flooring industry has been actively working to reduce the content of volatile organic compounds. In addition, an industry certification process called FloorScore is now in effect to rate the potential VOC content of flooring products including vinyl. Consumers can look for the FloorScore certification to comparison shop among vinyl flooring manufacturers for the lowest VOC and other chemical content. Marginal effect on home value. While upgrading a home with certain types of high-end flooring such as exotic hardwood or imported ceramic tile may boost the resale price of the home, most types of vinyl flooring aren’t a major contributor to higher home value. The exception might be today’s more pricey luxury vinyl tile (LVT) that provides striking enhancement to indoor decor and may ratchet up the market value of a residence. Weigh the pros and cons, shop carefully and make you own informed buying decision. The availability and diversity of vinyl flooring provides ample options to consider and a wide range of choices to fit your aesthetic goals, lifestyle, and budget.